The presence of blood in the urine, medically known as Hematuria, is indeed frightening and should never be ignored. 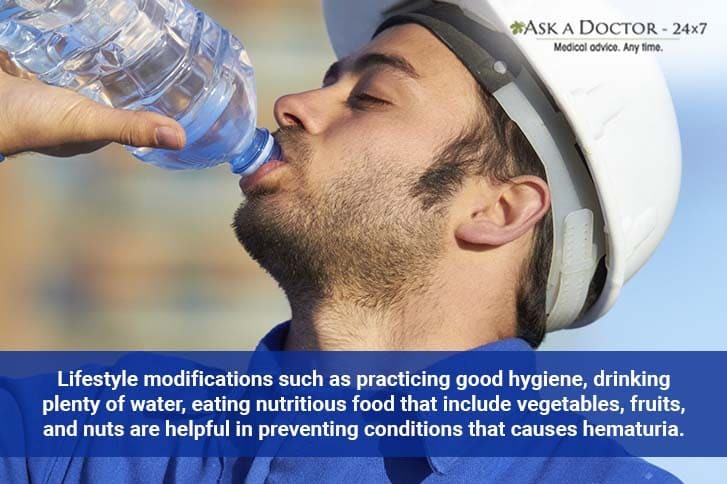 Even if it happens just once, with the urine remaining clear for weeks or months before it reappears, make an immediate visit to the doctor to rule out any possible underlying condition. While normally it is not necessarily associated with any harmful condition, it can be the sign of some serious disease. Give a read to know the obvious causes, diagnosis, treatment and preventive tips to handle hematuria. Men have an additional reason for blood showing up in their urine, and these are: an enlarged prostate gland or prostate cancer. 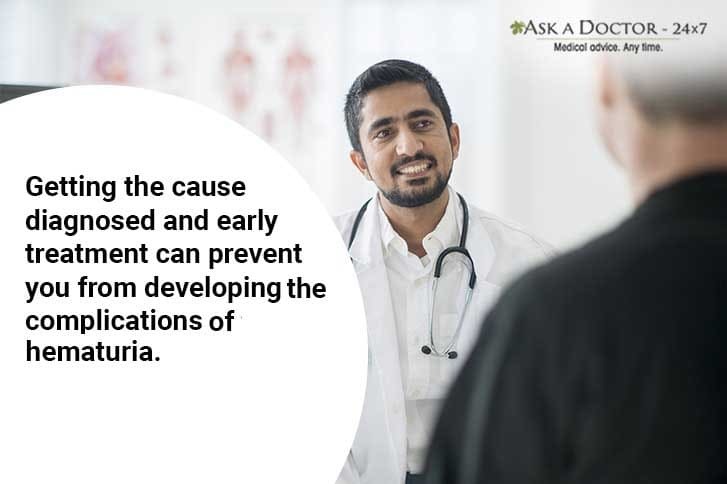 If you do experience symptoms such as fever, pain or burning while urination, frequent urination, feeling tired or any other feeling of being unwell along with hematuria, you should see your doctor right away. The source of blood in urine can be anywhere from kidney to bladder to urethra. You must never hesitate to pay a visit to your family doctor or primary care provider to get yourself checked for the cause. 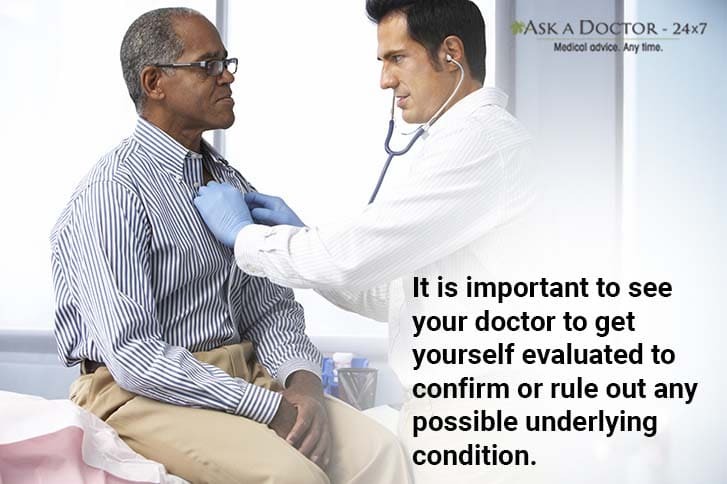 After examining you, the doctor may refer you to a specialist (Urologist). Urinalysis and blood test to look out the presence of an infection or detect BPH. Imaging tests such as ultrasound, CT scan or MRI are helpful in detecting stones, tumors or other abnormalities. Cystoscopy. During cystoscopy a narrow tube fitted with a tiny camera is inserted into the urethra to examine your bladder and urethra. Diagnosis for prostate cancer is done if you are suspected to have cancer. As mentioned above, hematuria is not always the result of a serious condition. In serious cases, it is always good to get the cause detected and treated early to avoid any complications. The treatment depends on the cause. Consult an Urologist on know the treatment options pertaining to your specific condition. 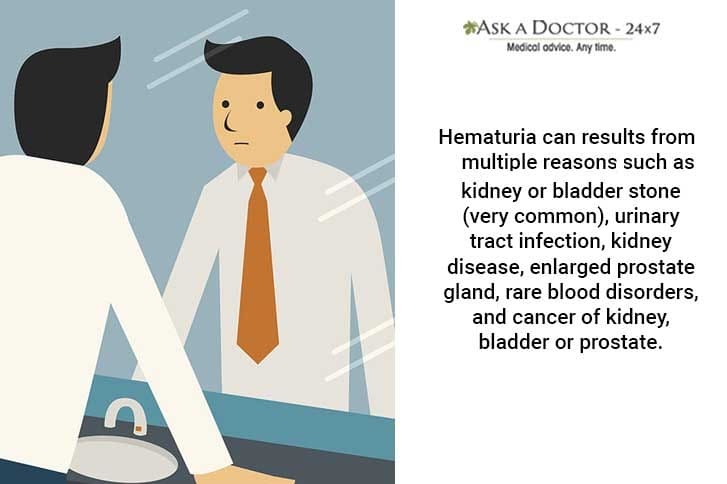 Ask a Urologist online, in case you want to know anything else about the condition, hematuria! Palak Sharma holds a bachelor’s degree in Pharmacy. She started her career as “Medical Writer” into regulatory writing. She has an experience of more than 5 years in scientific and medical writing. 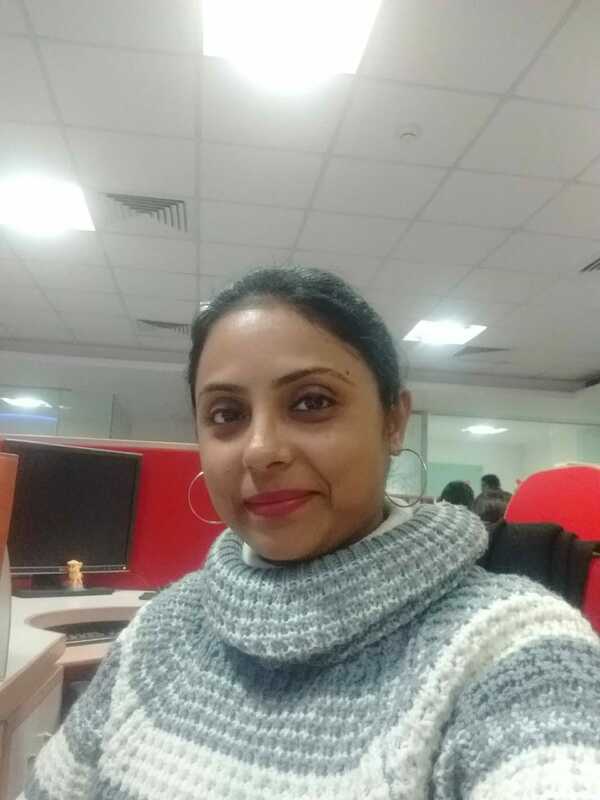 She has so far developed various technical documents for submission in the regulatory bodies such as USFDA, and European Union; eLearning study materials, articles, and blogs on health and lifestyle related topics.